New Delhi: Micro, Small and Medium Enterprises (MSME) Ministry has taken several measures for effective implementation of the Public Procurement Policy including constitution of review committee to monitor the progress of implementation of Public Procurement Policy and launch of SC/ST hub to provide support to SC/ST entrepreneurs. 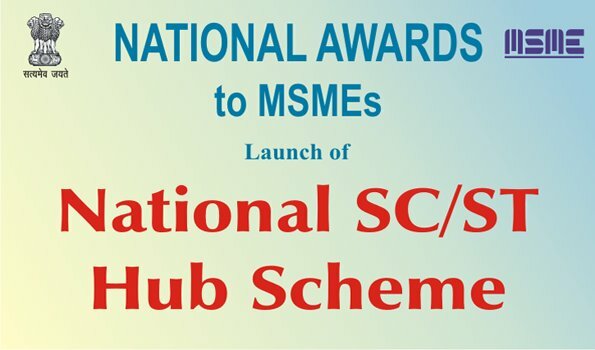 Efforts include launch of MSME Sambandh portal to monitor the progress of procurement from Micro and Small Enterprises (MSEs) including the ones owned by SC/ST and women. Annual procurement of goods & services from MSME by the Central Public Sector Enterprise (CPSE) during 2017-18 stood at Rs 24,226.51 crore in which the share of procurement from MSEs owned by SC/ST Entrepreneur is Rs 442.52 crore, official sources said. The Public Procurement Policy for MSME has mandated that every Central Ministry/Department/PSU will set an annual goal of minimum 20 percent of the total annual purchases from the products or services produced or rendered by MSEs. However, the government recently revised the order making it compulsory for all CPSEs to procure 25 percent from MSMEs instead of 20 percent of their total purchases. Out of the total annual procurement from Micro and Small Enterprises, 3 percent from within the target will be earmarked for procurement from Micro and Small Enterprises owned by women.